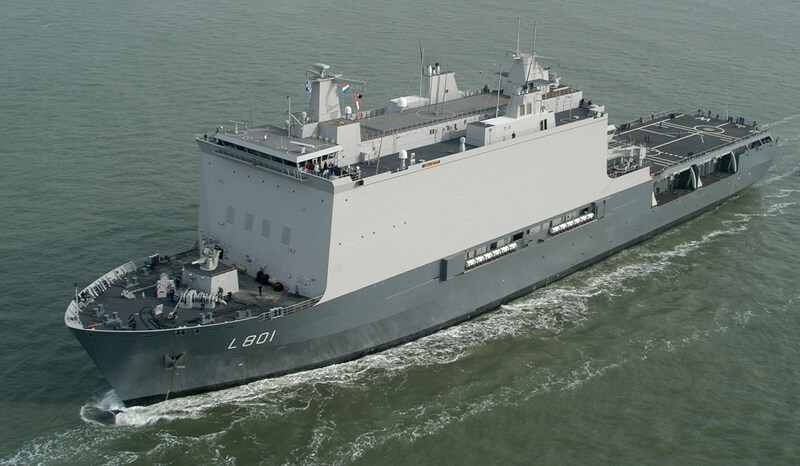 Home › Amphibious Series › Landing Platform Dock - Enforcer › Landing Platform Dock "HNLMS Johan de Witt"
• Four davit-launched Landing Craft Vehicle Personnel (LCVP) units. - Intensive, medium and low care units. 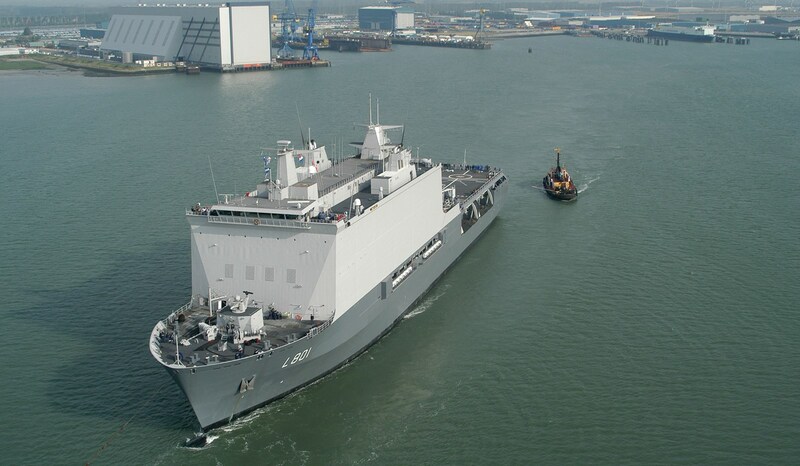 Landing Platform Dock - Enforcer "HNLMS Johan de Witt". A study has been carried out to the evaluate the influence of different ship components on the airflow aroubd the ship's superstructure. By means of CFD simulations and validation by wind tunnel expiriments, working conditions have been determined at different wind speeds and sailing speeds combined with different wind angels and ship headings. By using the Finite Element Method, the actual behaviour of the ship can be simulated. Undesired effects can be found and corrected. 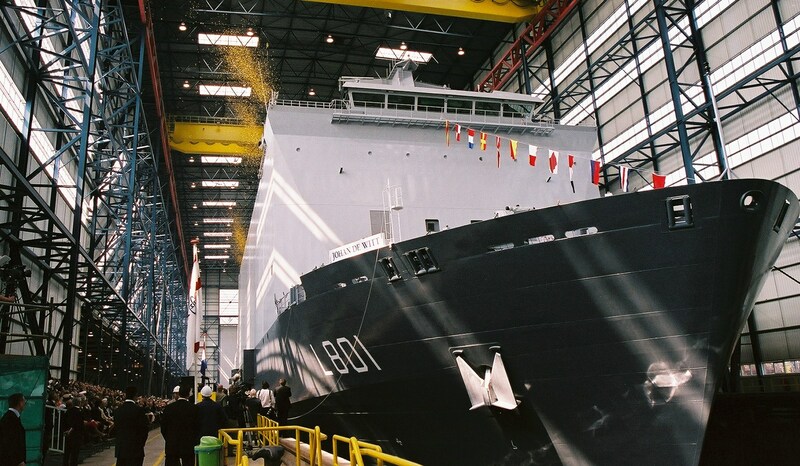 Detailed technical specification for Landing Platform Dock "HNLMS Johan de Witt"